Wet road conditions in a Pasadena freeway resulted in a big rig accident. Authorities shut down freeway lanes on the 210 and 134 connector early Tuesday morning to remove the overturned truck. They said speed may have also been a factor in the Pasadena 18-wheeler crash. California Highway Patrol reported that the big rig headed westbound on the 210 when the driver lost control. The truck was on the part of the connector that curves when it slammed into the center median and jackknifed at around 1:15 a.m. And the guard rail that divides the median found itself entangled with the underside of the big rig. Once on the scene, CHP found that no other vehicles took a part in the accident. But traffic on the eastbound 134 Freeway to the westbound 210 transition road crawled to a stop. Crews arrived to the highway accident area to clean up diesel and truck parts that spilled and scattered on the roadway. CHP allegedly stated that it was likely the vehicle was moving too fast for the fresh wet roads and lost control. They did not release the condition of the driver of the big rig. All lanes reopened at around 5:30 a.m. If you are in a situation where you have to drive in the rain or on a wet road, watch your speed. A vehicle going too fast on a wet road has the chance to hydroplane. Its wheels lose contact with the actual pavement and glide over the water instead. And any chance of controlling the direction of the vehicle gets lost and can lead to a car accident. In wet conditions drive at a speed within the speed limit that you are comfortable with driving. Make sure that you do not put others in danger or hydroplane. 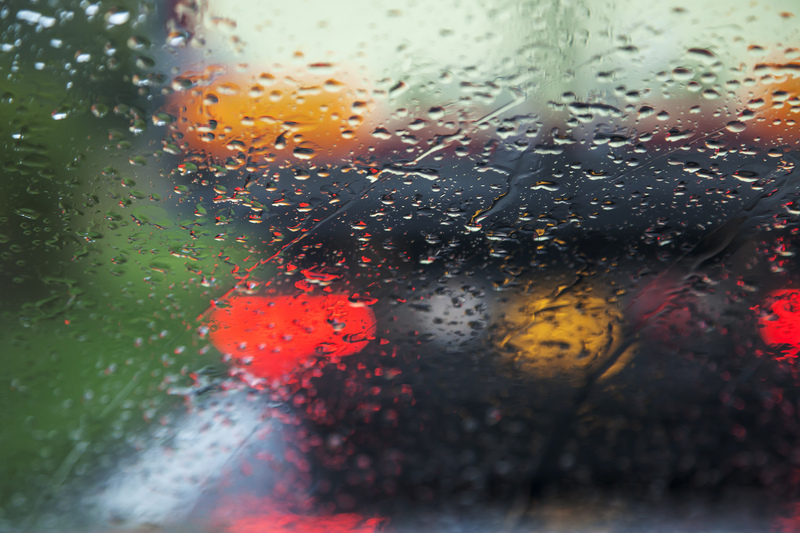 If you are driving in the rain, drive according to the intensity of the rain and visibility. Sometimes, it’s best to pull over to a safe place or parking lot and wait for the rain to clear. You don’t have to risk the well-being of yourself or your family in rainy situations. Sometimes, being in an accident is out of your control. A reckless driver could strike you and, in short ruin your life. Don’t let that happen! Call AA Accident Attorneys, we can help. Dial 1-800-260-2577. There is no reason you should have to suffer due to the neglect of someone else.